If you were asked to find one word to describe Brussels the word would definitely be multi layered. It is the heart of the European Union and is not bizarre why it is often called the Capital of Europe. Although it is a crossroad of languages and cultures Brussels has managed to maintain its special character. 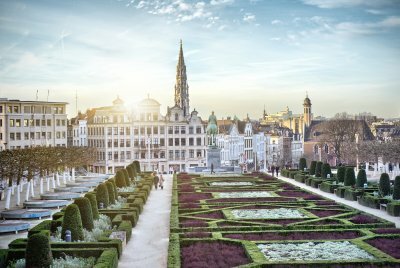 It is certain that you already feel enchanted by the idea of your visit in Brussels and we promise you that we are going to add some more magic How? Simply by visiting our website www.vanrental24.com rent your minivan and leave Brussels magic wand to carry you away and guide you to its beautiful areas. 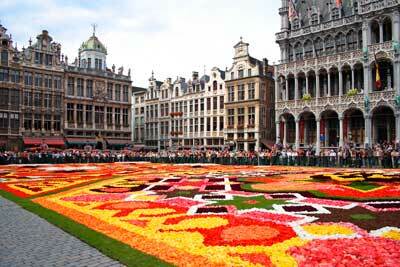 For your first stop you almost have no choice your van hire will stop on its own to the famous Grand place. Here is as if all of Brussels beauty is gathered in one spot. You will find a million things to do the Spired Gothic hotel de Ville that located here is of unbelievable beauty. Also one of the attractions of this predestinated square is the guildhalls all around that were rebuild by merchants. The stock exchange with its impervious stone facade that hosts sculptures of the young Rodlin is a historical miracle. Before having a wonderful relaxing coffee a must- see is the Galleries of St. Hubert the first shopping Arcade that remains intact. You may fill a little bit dizzy from all this magnitude but you don’t have anything to worry about rest inside your 12 seat minivan and visit the beautiful church of Notre Dame du Sablon. The statue of the Madonna attracts millions of tourists every year due to its believed healing powers. If you want to see a completely different museum that does not resembles to any other then the museum of Costume et de la Dentelle will dazzle you. Due to Brussel’s aristocratic origin you will find the best quality of dentelle (lace) and this museum is entirely dedicated to this. You will find out about lace’s application starting from the creation of amazing underwear to outwear, in a journey over the centuries combined together with other beautiful textiles. Brussels is the heart of art nouveau and the Ultieme Hallucinatie is its finest expression. This classic townhouse is decorated with art nouveaux beautiful creations. Its salon is absolutely marvelous with lamps stained glass will certainly make you feel a part of another era. Apart from Brussels undisputable beauty this amazing city can be quite overwhelming. Conferences and meetings take place on a daily basis, since it serves as a capital of the European Union and hosts its major institutions. If you are one of those who have visited Brussels for professional reasons stop worrying so much you have proven to be farsighted because you have selected minivan rentals and your tight schedule becomes more flexible than ever. Why? Because you can move around the city easier than ever, being simultaneously one step ahead with your to- do list since your van rental gives you the ability to have everything that is needed for your professional requirements. You can benefit also from the time you have gained by not wasting time waiting for public transport and steal some time to see some attractions. There is nothing better after a long day than a glass of beer where you will find it? At the Cantillon Brewery here inside this family -owned brewery time has truly stopped. The brewing process has not changed since its foundation in the 1900’s. We gave you some ideas all you have to do is drive around the city and enjoy this revealing aristocratic and imposing capital. Choose Van rental and life won't get easier than this!